Today must be the day for ex-Kathryn Bigelow projects sprung back to life. Just hours after Triple Frontier was given the green light over at Netflix, now comes word that post 9/11 drama The True American, which was originally to star Tom Hardy and Riz Ahmed, is back with a new cast including The Big Sick's Kumail Nanjiani. Nanjiani is expected to star in the film alongside Mark Ruffalo, with Pablo Larrain (Jackie) directing. Larrain has been on the project since early last year, but still this has felt like a film that was going nowhere fast. It's a terrific story, too, which is why it never quite died and why Bigelow is sticking around as a producer. It follows the true tale of Rais Bhuiyan, a Bangladeshi American military veteran who survived a deadly attack at the hands of Mark Stroman, who had been swept up in the post 9/11 anti-Muslim hysteria. Strowman killed a couple of other people that day before he was caught, and a decade later it was Bhuyian who returned to plead for him not to get the death penalty. 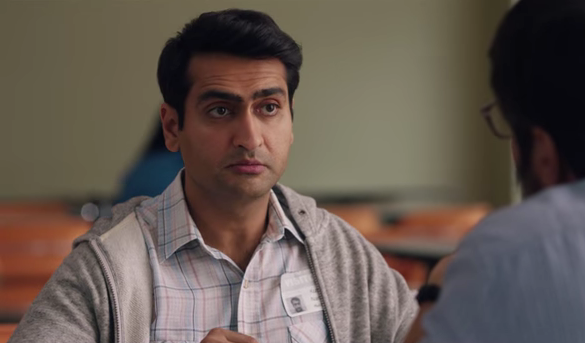 It's great to see Nanjiani getting a chance to spread his wings into dramatic territory because I was getting worried his breakout lead performance in The Big Sick was being overlooked. Ruffalo hasn't done a lot outside of the Marvel Universe lately, either, and it will be good to see him when he's not big, green, and smashy. Larrain is one of the best directors around and should bring a unique perspective to the material, just as he does with all of his work.